(Riomaggiore, Manarola, Vernazza) it isn’t as vertical and doesn't have as many stairs and hills as others instead it has a sandy beach which is the largest on the coast of the Cinque Terre and that along with the urban development of the new district attracts a lot of tourists. 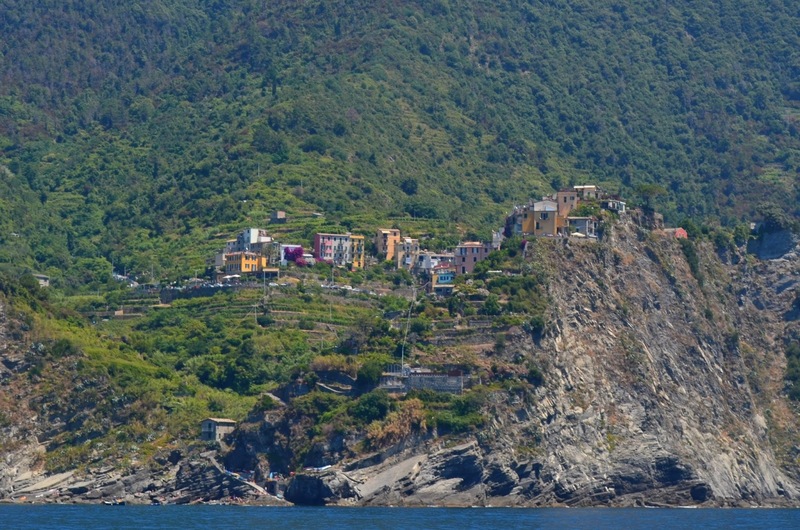 Monterosso has in fact most hotel accommodation of the Cinque Terre and the East coast of La Spezia. Here's a lame photo I was able to take from the ferry. To reach the center of the village from the railway station you must first tackle the Lardarina, a 370-step brick stairway. 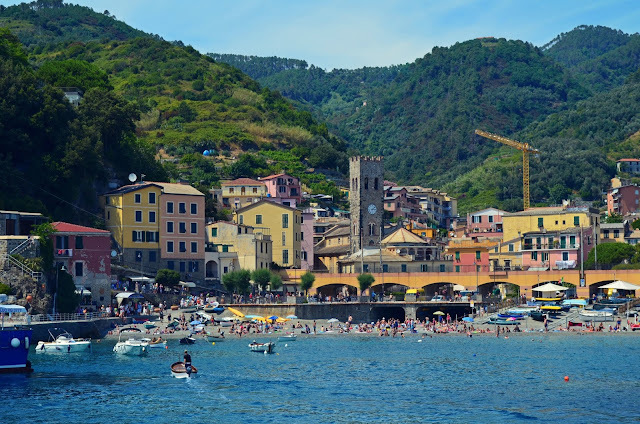 Unfortunately I didn't get to see Corniglia this time because I took the ferry boat and as I said before Corniglia have no access to the sea. So this is the only photo I took far away from the boat.